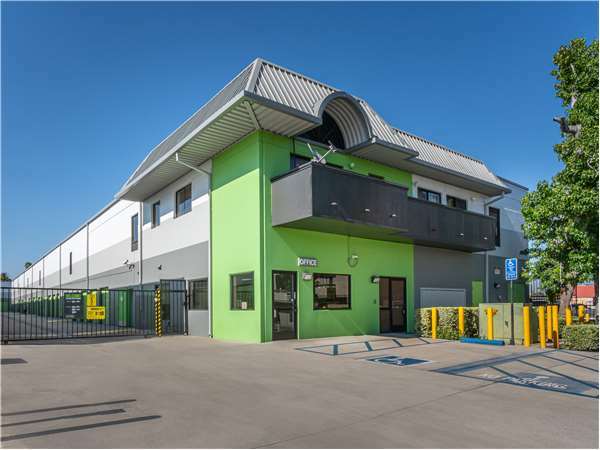 Located near the intersection of Cedros Ave and Parthenia St, Extra Space Storage serves residents of Panorama City, North Hills, Van Nuys, Arleta, and more. Locals will recognize our facility a few minutes east of Panorama City Elementary School and a few minutes northwest of Panorama Mall. Extra Space Storage on Cedros Ave offers a wide range of storage units, vehicle storage, and exceptional security. We can handle your residential or commercial storage needs in Panorama City! With unit sizes from 4x5 to 28x35, our Panorama City storage facility has the space to accommodate you! We also have units with convenient features like elevator access, drive-up access, reduced height, and more. At Extra Space Storage, security is a top priority. That's why our Cedros Ave location has security measures like an on-site resident manager, 24-hour video surveillance, and electronic gate access. This is my first time storing and I'm amaze of the clean and secure facility. Staff are out of this world and it is a pleasure doing business, completely satisfied. I recently switched to Extra Space from another company, and I have to say I'm very pleased with my decision. I needed a bigger unit within my budget and I was able to find that here. At first, it took a while to get settled in but they had great customer service to help me along the way. I highly recommend it. I have received very good and professional services. The staff is very usefull. They take their time to show the spaces and explain my options. So far I'm happy with the service. Take the 5 South exit Osbourne Blvd- continue on Osbourn about 3/4 mile- turn right on Nordhoff find Van Nuys Blvd and turn left. Turn right on Parthenia- turn left on Cedros. You will see us on your left hand side. Take the 5 North exit Osbourne- turn left on Osbourne- continue on Osbourne about 3/4 mile- turn right on Nordhoff- find Van Nuys Blvd. And turn left-turn right on Parthenia - turn left on Cedros. You will see us on your left hand side. Take the 118 West- merge into the 405 South- take Roscoe exit- turn left onto Roscoe- make a left on Sepulveda- turn right on Parthenia- look for Cedros- turn right onto Cedros. You will see us on your left hand side. Take the 118 East- merge into the 405 South- take the Roscoe Exit- turn left onto Roscoe make a left on Sepulveda- turn right on Parthenia- look for Cedros- turn right on Cedros. You will see us on your left hand side.